JOHNSON’S Baby Oil is enriched with natural aloe vera and vitamin E, which is known for its dry skin-soothing qualities, as well as Vitamin E, a natural skin conditioner. Clinically proven to help prevent excess moisture loss, it is gentle and easy to spread, so makes great for baby massage, leaving your baby’s skin soft and smooth. 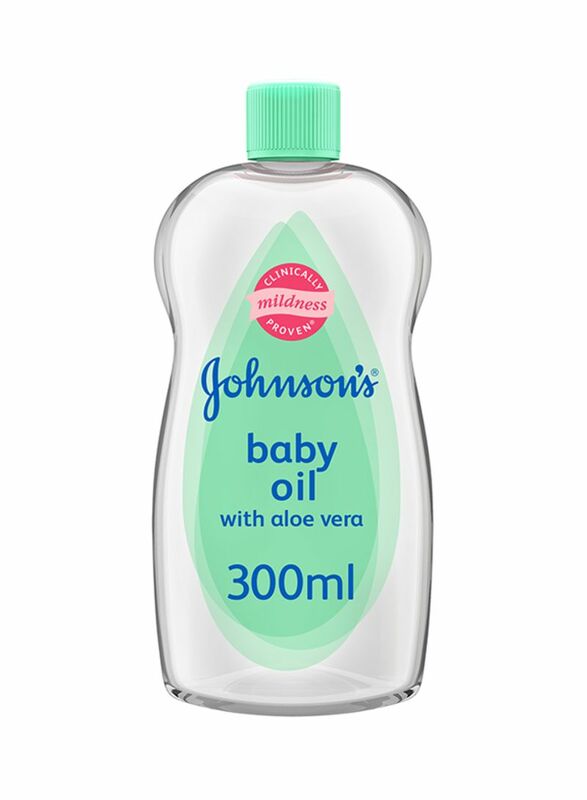 JOHNSON’S Baby Oil with Aloe Vera and Vitamin E is allergy-tested and especially developed for new-born skin, creating a light protective barrier on the skin. It can also be used to soothe and relieve dry, rough patches on adult skin.